A teardown of Apple's latest Mac peripherals shows that the devices have many things in common with each other —including difficulty of repair —while borrowing some technologies from other Apple products. The devices share many of the same chips, and use similar lithium-ion batteries, repair firm iFixit commented on Friday. All of them for instance sport the Broadcom BCM20733 Bluetooth 3.0 chip, even though the Trackpad 2 officially requires a Bluetooth 4.0-capable Mac. 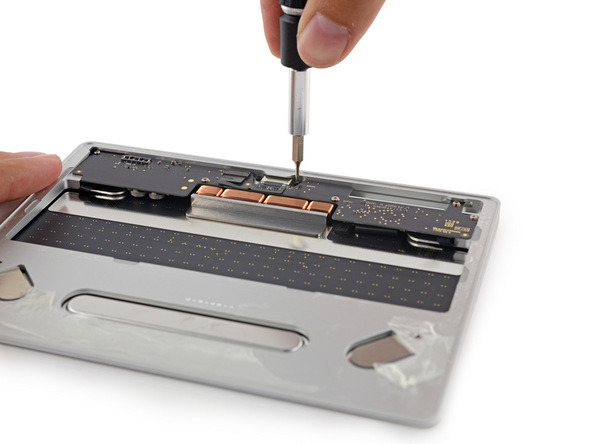 The Magic Trackpad 2 is said to rely on the same Force Touch technology in current MacBooks, including four strain gauges for measuring pressure, and a similar Taptic Engine. 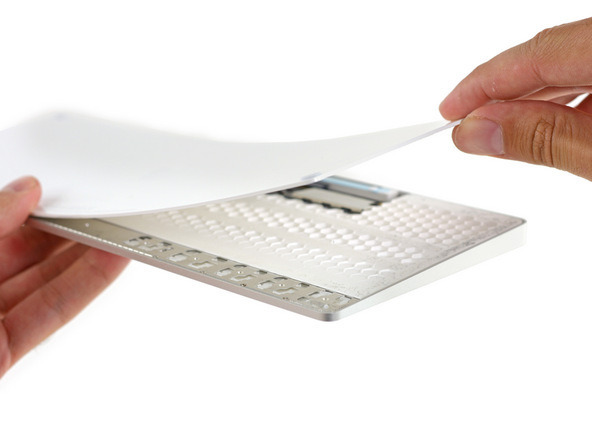 The Trackpad largely only scales the technology up to a bigger size. The Magic Mouse 2 is allegedly virtually identical to its predecessor, but with a Lightning port, and a lithium-ion battery in place of the AA slot. One oddity is that the Lightning port is on the bottom of the device, making mouse input impossible while charging. Finally, the Magic Keyboard is descibed as borrowing the 12-inch Retina MacBook's layout and low-profile keys, but with a scissor mechanism in place of the MacBook's butterfly switches. Nevertheless the new peripheral's keys have just 1 millimeter of travel, according to iFixit, and press completely flat. 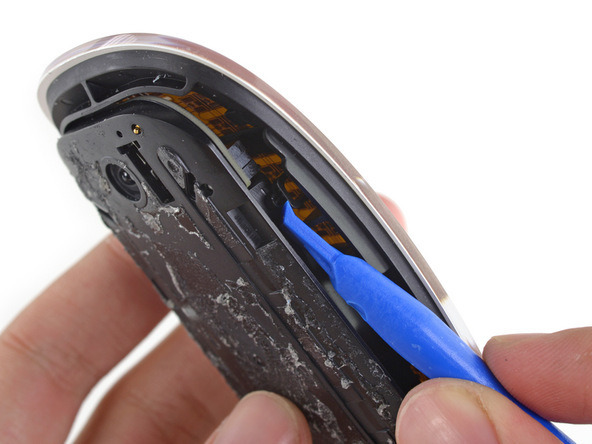 All three products scored just 3 out of 10 in iFixit's repairability ratings. The amount of adhesive used makes them difficult to open, the firm noted, and it may be possible to damage vital components in the process.